CFHEC is ready to invest 10mn dollars in the construction of a new runway. The infrastructure construction CCCC First Highway Engineering (CFHEC, China) is ready to invest 10mn dollars in the construction of a new runway at the airport Zhytomyr, the city administration said in statement on its website. The government of Ukraine must provide guarantees for the allocation of funds, the statement said. Representatives of CFHEC visited Zhytomyr yesterday and met with local authorities. 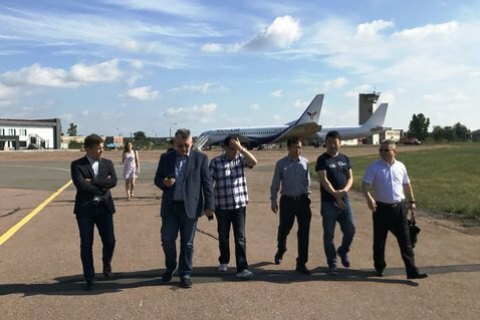 "If this project takes off Zhytomyr will really hope for the arrival of low-coster airlines," said Mayor Serhiy Sukhomlyn. On 29 January, 2016 regional airport Zhytomyr received the first technical flight after 25 years of idle time. CCCC First Highway Engineering Co. Ltd. provides infrastructure construction services. The Company builds highways, bridges, and other related basic facilities. CCCC First Highway Engineering also offers project design, supervising, research, measuring, and machinery manufacturing services. Official: Donbas cannot be saved. It is time to resettle the people.